Five years ago, when we moved to Bellbowrie, we found this cast iron pot on one of the kerbside collection. I guess you could call it someone’s castaway. (Brisbane City Council does the annual kerbside cleans and collects rubbish or throw aways from residents). It was a good water container for chickens and ducks. 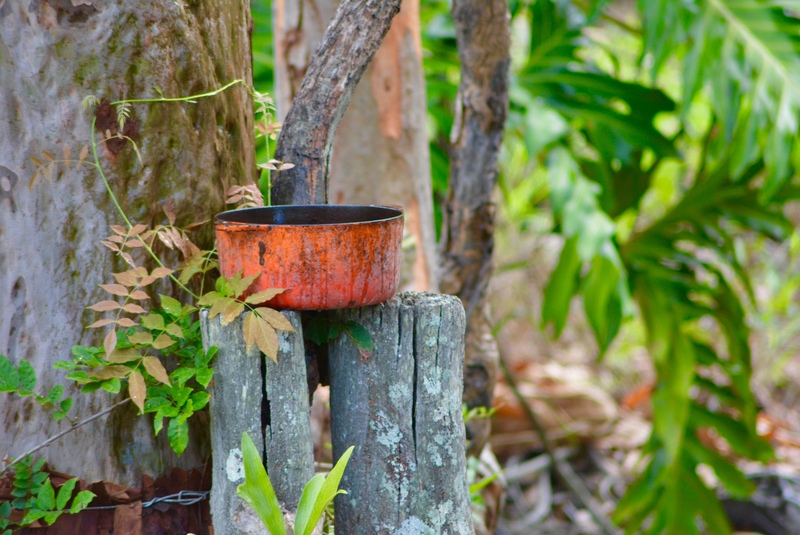 One day, my ceramic bird bath fell off this stump and broke and I gave the birds the pot full of water. Its size and weight made it perfect for a bird bath. I only had to wait 30 minutes before the birds starting flying down to the cast pot to drink. 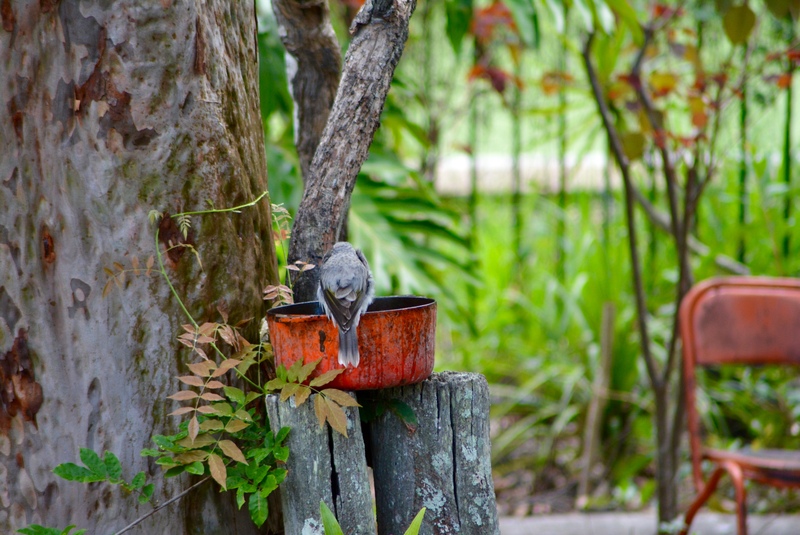 Everyday since putting up the pot in the tree (six months ago), birds and other animals stop by to have a drink and a bath. I get to watch them from my verandah. Sometimes there would be a small flock of nosey miners frolicking noisily just like the drinking hole had been there all along.